Hammersmith and Fulham is taking on the likes of Old Street, King’s Cross and Croydon as it establishes itself as London’s leading hub for tech, science and creative industries. With the arrival of Imperial College London’s world-leading research and innovation campus, a convergence of media and creative companies – including a new Soho House and an explosion of co-working spaces and start-ups, the borough and in particular its northern ward of White City have seen a meteoric rise. This transformation is being spearheaded by Upstream – a partnership between Hammersmith and Fulham Council and Imperial College – which was borne of the council’s ambitious industrial strategy, launched last year, which aims to make the borough the best place to do business in Europe. Ahead of London Tech Week (11-17 June), Upstream is unveiling an exciting line up of events aimed at attracting new businesses to the borough, connecting and growing existing businesses, with a focus on nurturing the biotech, digital and creative sectors, alongside the borough’s established players such as the BBC and GE. Gigglebyte, a new festival coming to Shepherds Bush that fuses comedy and tech, featuring the best in stand-up comedy alongside workshops for tech entrepreneurs, start-ups and businesses. Silicon Drinkabout, a London tech social network, bringing together local entrepreneurs. “We’ve listened to entrepreneurs and big businesses alike and developed Upstream to ensure they get the support they need – whether they are a long-standing tenant, such as Dunnhumby, or an awarding winning tech start up like VChain. 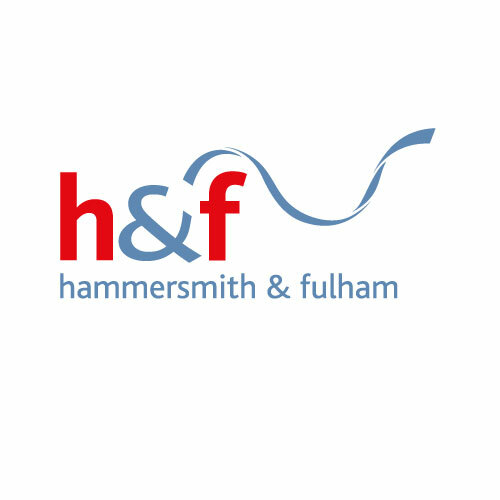 “Hammersmith and Fulham’s businesses have their sights firmly on future growth and many tell us they would value more support through networking with peers and bigger players, the creation of growth hubs and further collaboration with academia. The borough is fast establishing itself as a leading business hub, with the Television Centre at the heart of a £8 billion ten-year regeneration of the wider White City area which will form a new hub of activity, creativity and academia in west London. A thriving neighbourhood will see the arrival of new shops, restaurants and educational facilities, as well as the creation of up to 4,000 new homes, over two million square feet of office space and 20,000 new jobs. “Hammersmith and Fulham is becoming very attractive for companies like VChain, thanks to the borough’s excellent transport links, amenities, and the growing business ecosystem. “Of note is CyLon Labs, Europe’s first cybersecurity accelerator, which is also based here and of which VChain are alumni. “As a start-up, Upstream’s support has enabled us to meet many other innovators and potential clients. “The innovation and collaboration fostered by the thriving co-working scene in White City has enabled us to go from strength to strength with our Wing Lights for bicycles. “As a global business with offices around the world, Hammersmith and Fulham – with its convenient access to Heathrow airport and Central London – has been the perfect location for our London office.